I wanted to inform you in advance, but I was so busy preparing for the exhibition that I didn't have the time to write about it until today. 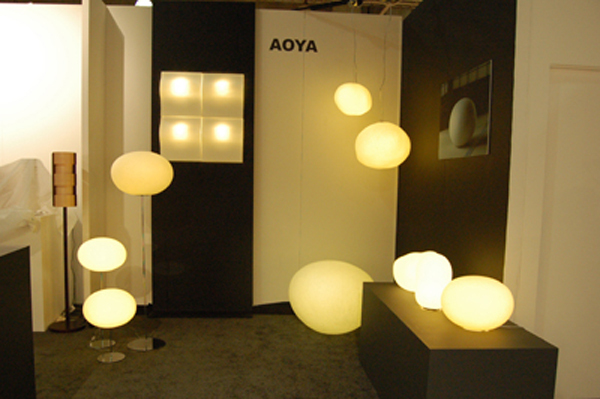 Last month, we took part in the International Contemporary Furniture Fair (ICFF) held in New York, the US. This was the first time that we participated in an American exhibition. I was concerned about how people would react to our seamless three-dimensional washi lamps. What should we do if no one showed interest? While I had these anxieties in my mind, the opening day came very quickly. We had many visitors from Day 1 and were very busy throughout the day having a hard time communicating with the American staff. 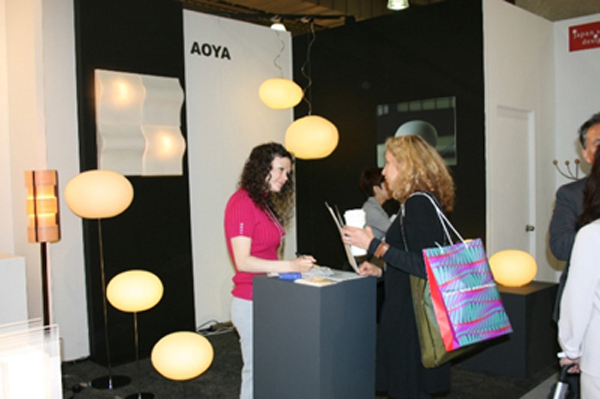 The exhibition was a four-day event and, overall, many people loved our seamless three-dimensional washi lamps. Some of them visited our booth two or three times, murmuring words of praise like "Amazing!" and "Oh, my baby!" 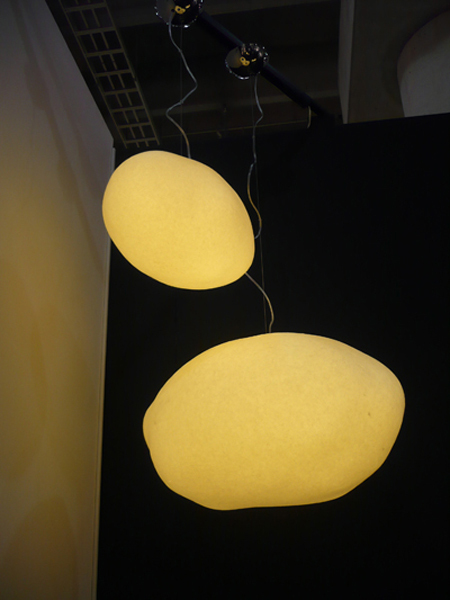 Among the products we put on display, the most popular one was the Mokumoku-Pendant. It seems that its irregular cute shape appeals to Americans. Talking with the visitors (in broken English, of course), I noticed that everyone was smiling when they looked at our washi lamps. I thought it would be great if this warmth of the washi lamps became known to more people and made them smile. Now, let me write a little about the city of New York.